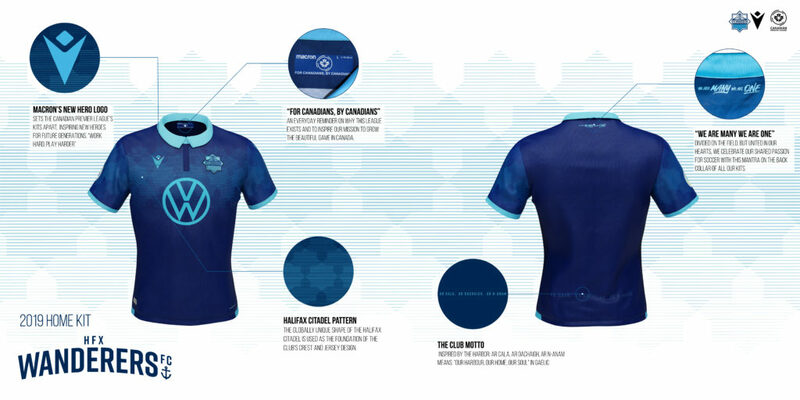 CPL Kit Reveal in Toronto. (Photo: CPL). 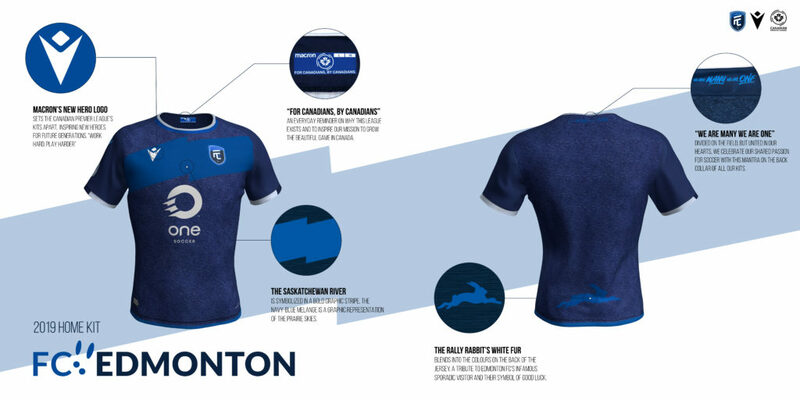 The Canadian Premier League’s inaugural slate of home and away kits have been released, with Italian outfitter Macron providing the seven founding clubs with tailor-made uniforms complete with unique designs inspired by community ties. Pacific FC home kit. (Click to view full size). “Purple is our colour, our identity. Our goal was when we kick off, to have a purple stadium. 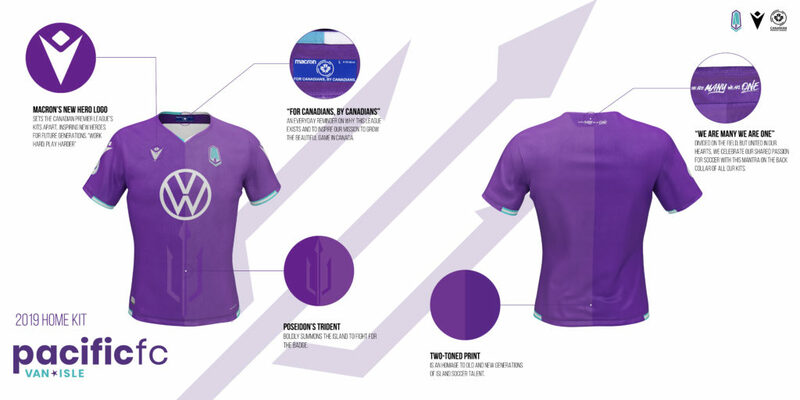 Obviously, we need purple kits for that,” – Josh Simpson, Pacific FC president. FC Edmonton’s home kit. (Click to view full size). “Our home kit will be our home kit. We’re going to play at home in blue. I think we need to be proud of our home colours. I am not going to allow the kit or heat become an excuse on performance,” – FC Edmonton head coach Jeff Paulus. 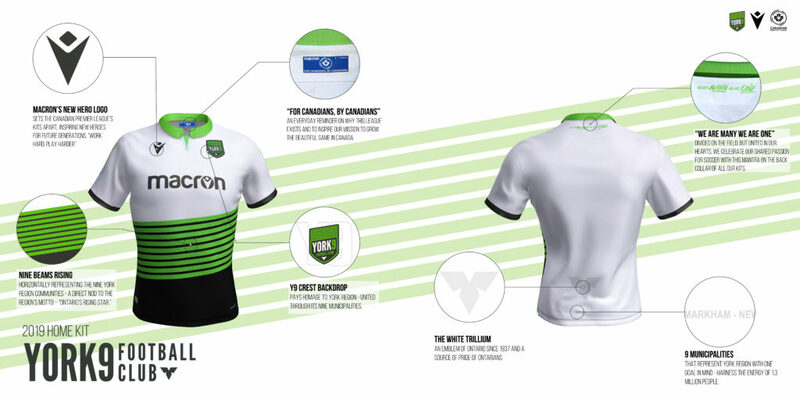 Cavalry FC home kit. (Click to view full size). “That’s the beauty of Macron, you can do anything. 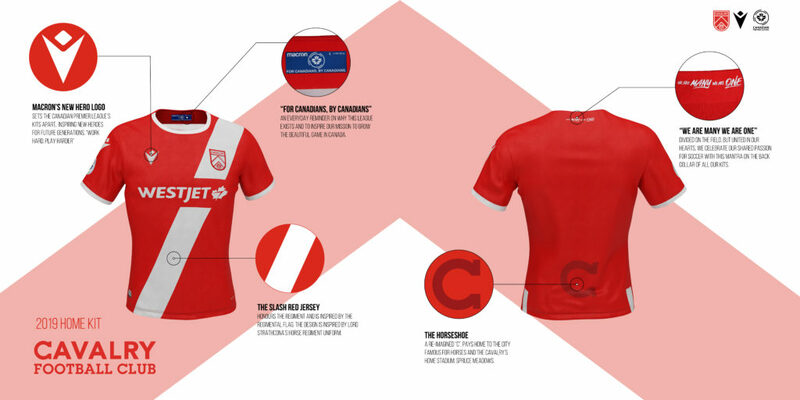 It’s not a copy-and-paste, where every club’s shirt looks the same. 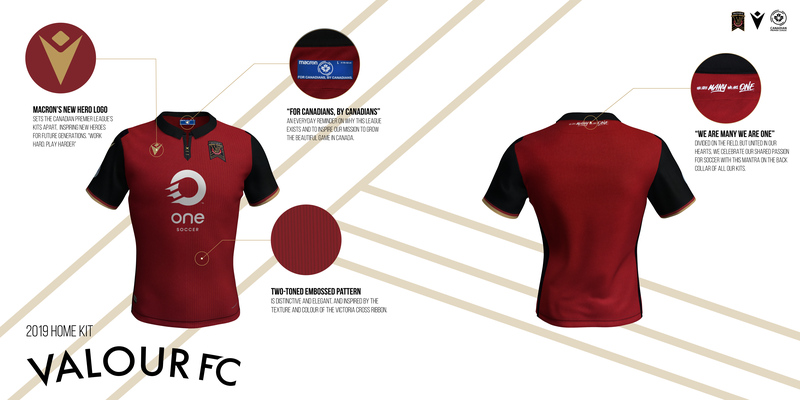 Every club has its own identity and history, and that was a great part of this journey,” – Cavalry head coach Tommy Wheeldon Jr.
Valour FC’s home kit. (Click to view full size). “We took the lead firmly from the logo itself, and the colours. The maroon of the Victoria Cross and the ribbon that pins under our V for Valour,” – head coach Rob Gale. Forge FC’s home kit. (Click to view full size). 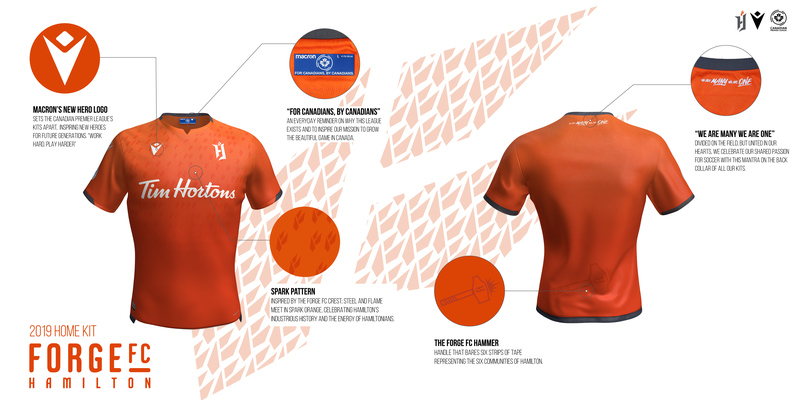 “Designing the home and away kits was an incredible honour, and I’m confident we created and designed a jersey that reflects the city and will leave a legacy far beyond this first season,” – Forge FC senior director Greg Dunnett. “We’re developing these iconic images for a club that we hope will exist in that format for a hundred years or more. You take that seriously and put the time, care and effort into it that it deserves,” – HFX owner Derek Martin.